1 Output:Continuous 180A, burst 1260A. 4. Motor Supported: 4074 Brushless Motor. 6. Size:61.8mm* 41.8mm * 42.9mm. 1 Waterproof, support one key to set parameters. 2 High quality components, big current endurance. 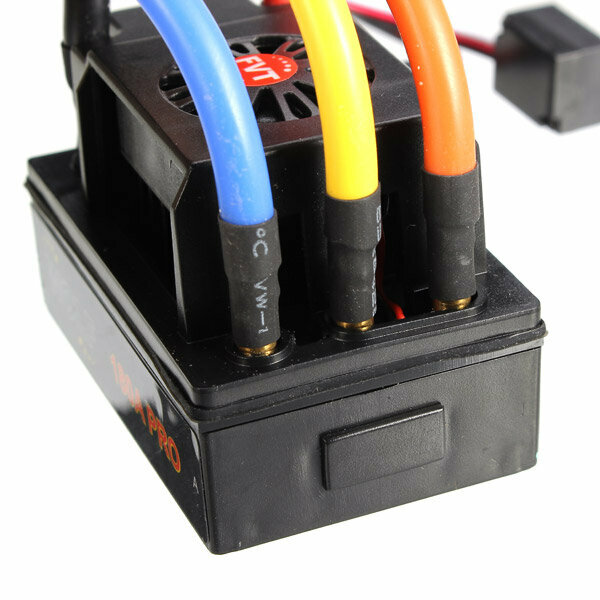 4 Plenty of programmable items, suitable for various of chassis's, tires and racing tracks. 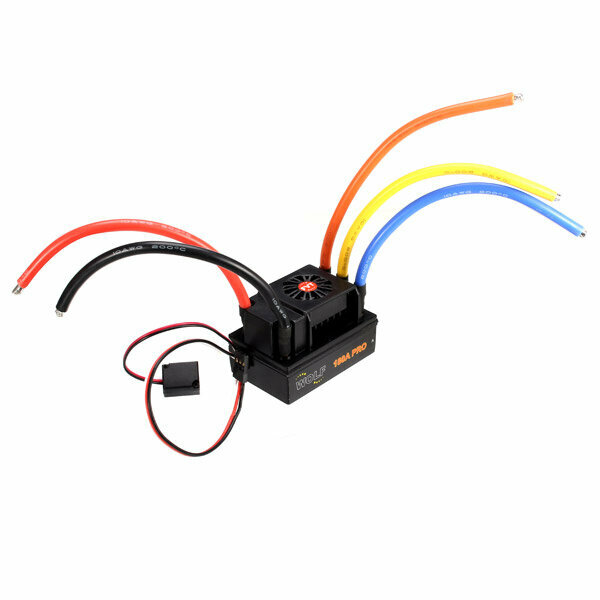 5 Multiple protection features: Low voltage cut-off protection / Over-heat protection / Throttle signal loss protection. 6 Easily programmed with the LED Program Box, Professional LCD Program Box and USB Link Software. Manual is available, please click here. For Skateboard ESC Program, please click here.